On Thanksgiving Day we returned to Kennedy Space Centre . Jane @jhjones wanted to share with me the memorial wall to fallen space explorers. 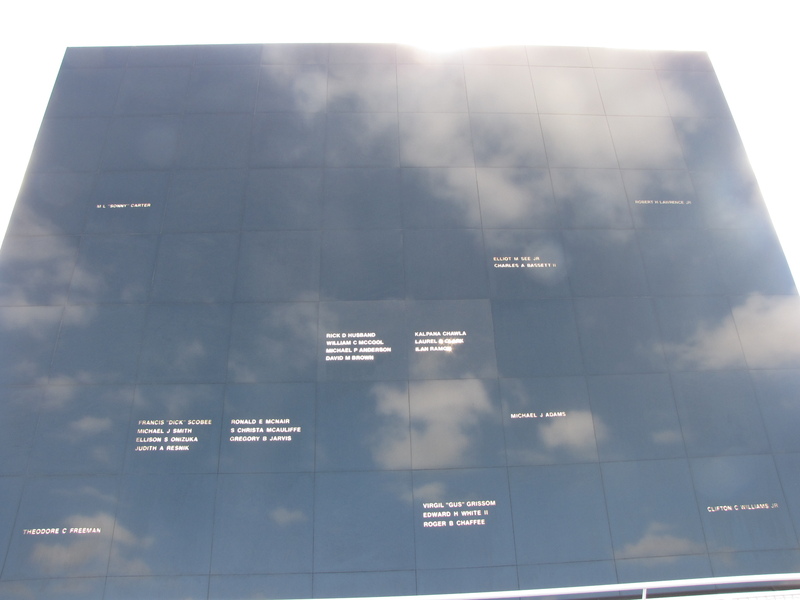 This magnificent structure of polished granite reflected the blue sky, white cumulus, and the American flag amongst the Astronaut names which were pierced by sun beams of remembrance. Our morning included a pseudo trip to Mars, the Exploration Space experience, and of course mini Tweetups with pink tagged busy Tweeps including @bphuettner @Conductor222 . Lunch with the enigmatic #labcoatbear in the rocket garden was unmissable, another opportunity to enjoy some Florida rays and good conversation. Afterwards a long walk on Cocoa Beach was fresh, warm and therapeutic. Somehow I resisted urges to run into the sea which was so inviting. This beach is like a gigantic version of Keel on Achill in Ireland, it included formation flying pelicans adding a Jurassic feel to the wildness. Flounder with lots of Florida shrimp at the very Hemmingway 'ish Sunset Waterfront Bar & Grill completed our day, we were joined by some of Jane’s colleagues just after the sun bowed out spectacularly on the space coast. At the badging office circa very early I met two of the dynamic Stephanie’s @schierholz and @stephist with @doug_ellison . Then I introduced myself to the other foreign nationals including @FailedProtostar for transport to the NASA base. Fully processed and complete with @LockheedMartin souvenir sweatshirt I came to stand within a few yards of the VAB. The Tweetup Twent was huge and accommodated tightly the 150 Tweetup worker bees 🙂 many of whom were already tweeting away at a rate of knots. Within a short while I had access to KSCCOMM- PRESS Wi -Fi via my encryption key - my Twitterportal to the world was open for business. Trent Perotto @NASA and @NASAJPL gave a welcoming talk and he was followed by Dr Jim Green, and a host of other NASA/ JPL science and engineering glitterati. My Tweeting was too my delight being picked up and RT'ed at home in Ireland , in the UK and USA. A fast lunch before an amazing tour of Cape Canaveral Air Force Station, the VAB, and my ’ have to see’ moment the Saturn V rocket. Bus 2 was my ride for the afternoon, our guide was a wonderful passionate young woman Kimberly Goudace. I have to admire the professionalism of all NASA and JPL staff who together made the Tweetup event an unforgettable experience. If any of them had to be at their work at 4am, 5am, 6am they were on duty with a smile and a positive attitude even if they were in unfamiliar time zones. Kimberley did not even have a job; she was a former Space Shuttle engineer who still carried out her work to the n’th degree. As we walked through the VAB her enthusiasm and knowledge filled the enormous void as she led us to the penultimate surprise, a close up view of Endeavour. This shuttle was being prepared for its museum 'shelf life after space' trip to California. ( below in my website link) where all my knowledge of the rocket went out the window as years of anticipation poured out forever. At launch pad 34 we were kindly allowed to walk around and ponder the loss of life at this place. The past’s devastation visible in deconstructed remains of tormented concrete and twisted metal. 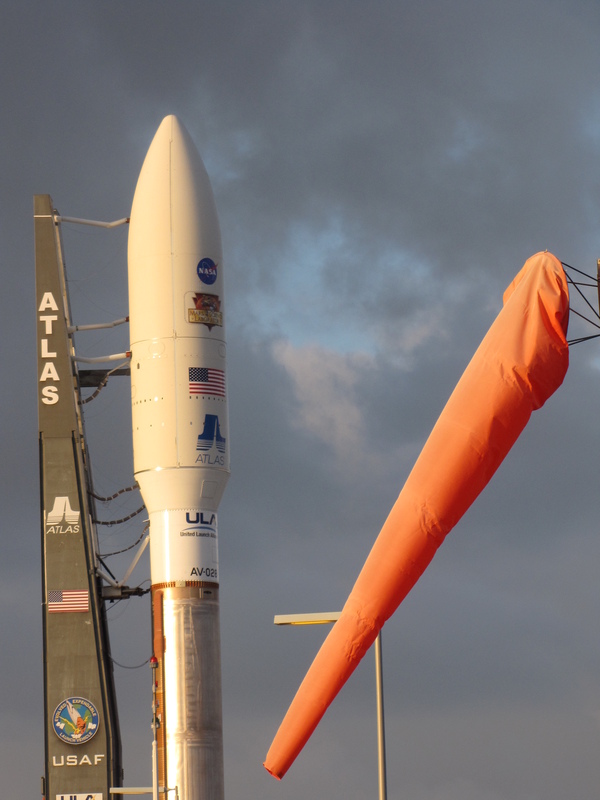 On the evening pre launch NASA tour we were privileged to stand within 150 yards of the Atlas V with MSL perched on top. Silhouetted against the sun this 191 foot assemblly of scientific ambition stood a little less than half the height of the Apollo Saturn V. At 363 feet The Saturn V was the largest rocket ever built and is more comparable height wise to the familiar stainless street sculpture the Spire of Dublin which is 398 feet. After an unlimited photographic bonanza we left the launch pad to head back toward the Vehicle Assembly Building. On our journey groups of red haired hogs appeared , munching in the evening grass as the sun set on an unforgettable day. Ahead, an invite to a Marstini party and a visit to an Observatory. The party was in a suburban house were everyone seemed to take it for granted that there was a swimming pool in the patio. The Gale House (named in honour of the landing place for MSL Gale Crater ) was occupied by a large group of Tweeps who had somehow managed to put a very cool party together. It was nice to meet up with other folks who had been in touch with me via Twitter before I left Ireland. @TashaVerse such a good welcome , Jen Scheer @flyingjenny said hi because @commanderbyrne had told her too oh !! what a twangled world the Twitterverse is. 🙂 @Joi_the_Artist showed me some of her richly coloured drawings while I sipped my Marstini before being introduced to @MarsCuriosity and several others whose @ names have escaped me. After some delicious food, I headed to the BCC Planetarium and Observatory with Jane @jhjones for to join in the public evening. The indoor Moon set up impressed me, I wanted to bring it home to Ireland. In the observatory we looked at Jupiter through a 24 inch scope, while soft spoken astronomers called out the positions of Io, Europa, Ganymede and Callisto. On the roof I looked at Orion rising on its side, the words of Robert Frost’s poem never rang so clear and true. The constellation looked like it had fallen down the sky, or perhaps it was me who had tumbled down the planet. The sideways view caused by the clockwork artistry of the workings of the night sky. Next morning I was picked up at 6am on the dot by @Stephist and was twittering away by 06:25. @TheScienceGuy Bill Nye looking very dapper spoke about everything . The chief administrator of NASA Charles Bolden gave an impassioned talk about MSL being the precursor of future human Mars missions. Lori Garver the deputy administrator of NASA spoke with great excitment. Astronauts Leyland Melvin @Astro_Flow and Doug Wheelock @Astro_Wheels conducted the astronaut only sport of 'let’s have a midair chest crash just because we can' , and William James Adams @iamwill joined them to speak about education . The Black Eyed Pea star has invested millions of his own dollars in educational programs for young people. @Camilla_SDO said hello to me at the mornings Eyes on the Solar System demo. During the launch group photo that cheeky chicken came flying through the air for me to catch so it could preen its feathers bang on centre of the photo front row. At T minus 30 I hugged the blow up MSL beside the countdown clock and was then asked to give my thoughts to camera by Lou Braga @Photog4NY so I did. It was very surreal to be there beside this iconic digital clock as I had watched it for years on TV following various launches from Apollo to that pending moment. 5, 4, 3, 2, 1 the moment was real, the Atlas V with MSL ascended in silence. I looked at it rise and in that muted moment my past present and future merged. The sound followed and engulfed me totally. I watched till the smoke trail dissipated into imperceptible particles before returning to continue tweeting. After spacecraft separation and a huge cheer in the twent, I sat down at my table. 54 years of tears decided to pick that moment to flow. I knew then I was in the right place in my life. On the plane home as I eased back time to my reality the winder came off in my hand, a timeless moment but for me time had truly stood still when the silent rocket left this planet for Mars. VFTS 102: the fastest rotating star. Artist's concept of NASA's Mars Science Laboratory spacecraft during its cruise to Mars. NASA's car-sized Curiosity rover has begun monitoring space radiation during its 8-month trip from Earth to Mars. The research will aid in planning for future human missions to the Red Planet. Curiosity launched on Nov. 26 from Cape Canaveral, Fla., aboard the Mars Science Laboratory (MSL). The rover carries an instrument called the Radiation Assessment Detector (RAD) that monitors high-energy atomic and subatomic particles from the sun, distant supernovas and other sources. Wide-field view of NGC 253 from the VLT Survey Telescope. Hubble view of star-forming region S106. Image credits:NASA & ESA. 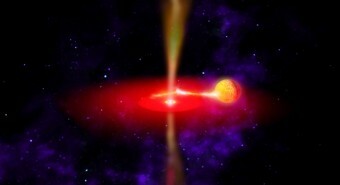 Artist's impression of a black hole's jets. Credit: NASA. n international team of astronomers has identified a candidate for the smallest-known black hole using data from NASA's Rossi X-ray Timing Explorer (RXTE). The evidence comes from a specific type of X-ray pattern, nicknamed a "heartbeat" because of its resemblance to an electrocardiogram. 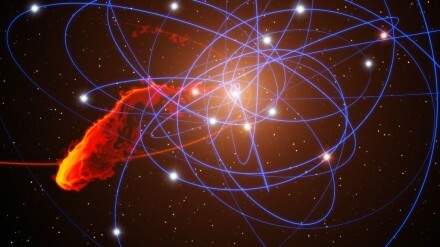 The pattern until now has been recorded in only one other black hole system. Named IGR J17091-3624 after the astronomical coordinates of its sky position, the binary system combines a normal star with a black hole that may weigh less than three times the sun's mass. That is near the theoretical mass boundary where black holes become possible. Gas from the normal star streams toward the black hole and forms a disk around it. Friction within the disk heats the gas to millions of degrees, which is hot enough to emit X-rays. 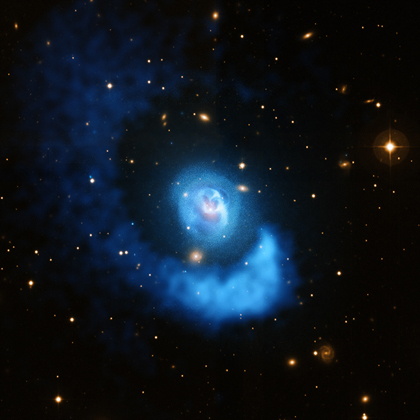 Cyclical variations in the intensity of the X-rays observed reflect processes taking place within the gas disk. Scientists think that the most rapid changes occur near the black hole's event horizon, the point beyond which nothing, not even light, can escape. Astronomers first became aware of the binary system during an outburst in 2003. Archival data from various space missions show it becomes active every few years. Its most recent outburst started in February and is ongoing. The system is located in the direction of the constellation Scorpius, but its distance is not well established. 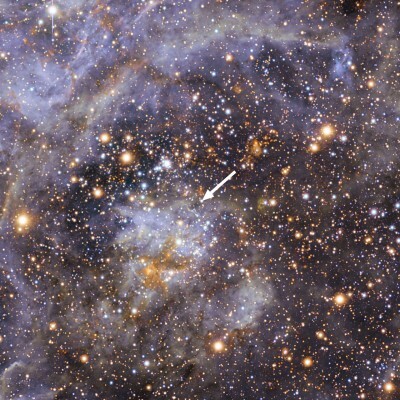 It could be as close as 16,000 light-years or more than 65,000 light-years away. Simulation of the cloud being disrupted by a black hole. 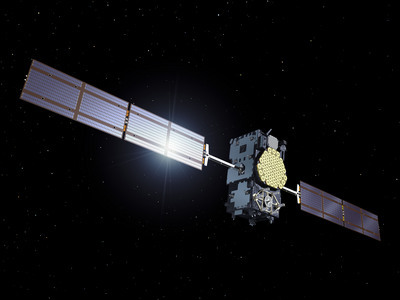 Artist's impression of the Galileo IOV satellite. The unusual double star SS Leporis. 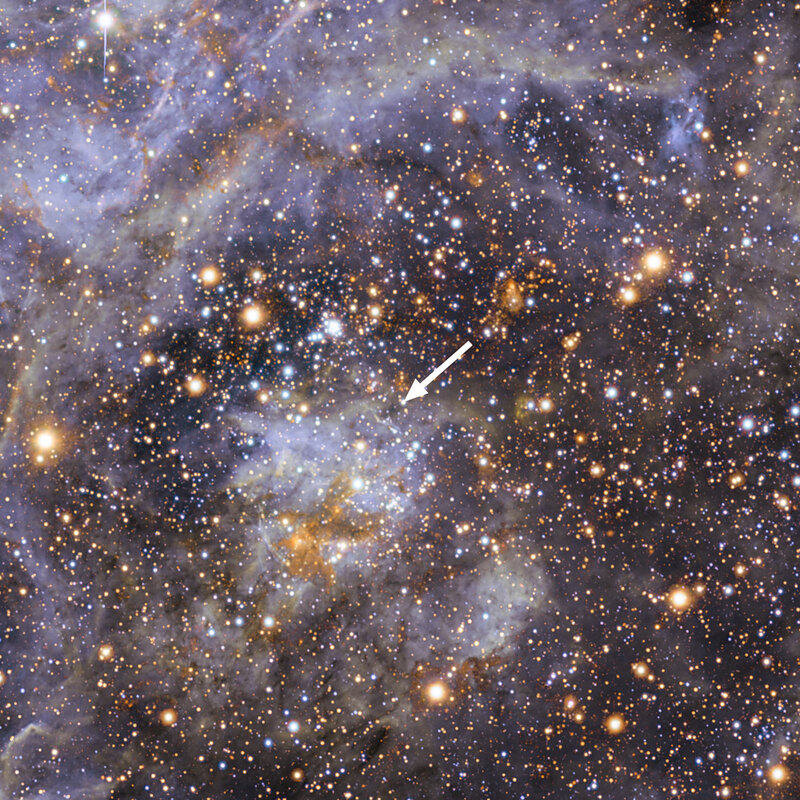 Astronomers have obtained the best images ever of a star that has lost most of its material to a vampire companion. 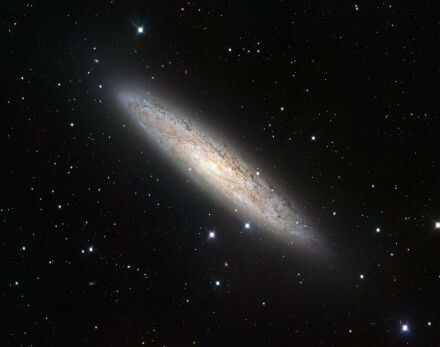 By combining the light captured by four telescopes at ESO’s Paranal Observatory they created a virtual telescope 130 metres across with vision 50 times sharper than the NASA/ESA Hubble Space Telescope. Surprisingly, the new results show that the transfer of mass from one star to the other in this double system is gentler than expected. The Geminid meteor shower peaks on Dec. 13th and 14th. Bright moonlight will interfere with the display, but not obliterate it. Forecasters expect observers with clear skies to see as many as 40 meteors per hour. Is Vesta the "Smallest Terrestrial Planet?" 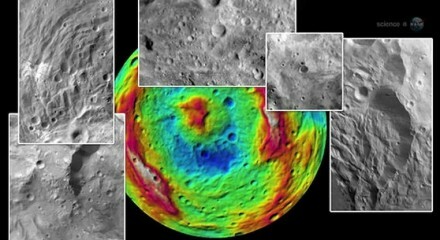 category: Asteroids, DAWN, NASA Comments Off on Is Vesta the "Smallest Terrestrial Planet?" 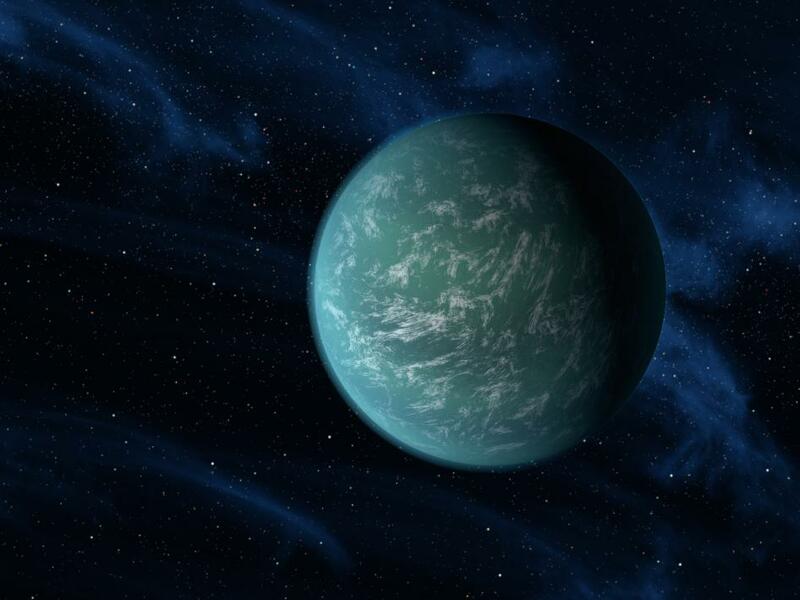 Artist's conception of Kepler-22b. 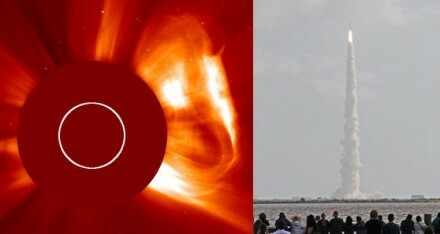 Image credit: NASA/Ames/JPL-Caltech. NASA's Kepler mission has confirmed its first planet in the "habitable zone," the region where liquid water could exist on a planet's surface. Kepler also has discovered more than 1,000 new planet candidates, nearly doubling its previously known count. Ten of these candidates are near-Earth-size and orbit in the habitable zone of their host star. Candidates require follow-up observations to verify they are actual planets. The newly confirmed planet, Kepler-22b, is the smallest yet found to orbit in the middle of the habitable zone of a star similar to our sun. The planet is about 2.4 times the radius of Earth. Scientists don't yet know if Kepler-22b has a predominantly rocky, gaseous or liquid composition, but its discovery is a step closer to finding Earth-like planets. Artist's concept of a NASA Mars Exploration Rover. NASA's Mars Exploration Rover Opportunity has found bright veins of a mineral, apparently gypsum, deposited by water. Analysis of the vein will help improve understanding of the history of wet environments on Mars. "This tells a slam-dunk story that water flowed through underground fractures in the rock," said Steve Squyres of Cornell University, principal investigator for Opportunity. 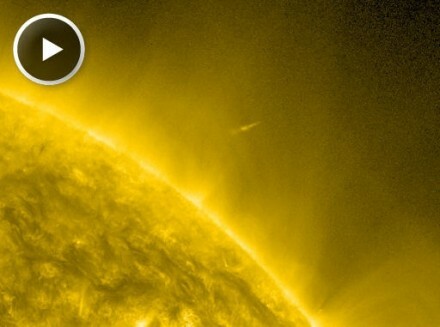 "This stuff is a fairly pure chemical deposit that formed in place right where we see it. That can't be said for other gypsum seen on Mars or for other water-related minerals Opportunity has found. It's not uncommon on Earth, but on Mars, it's the kind of thing that makes geologists jump out of their chairs." 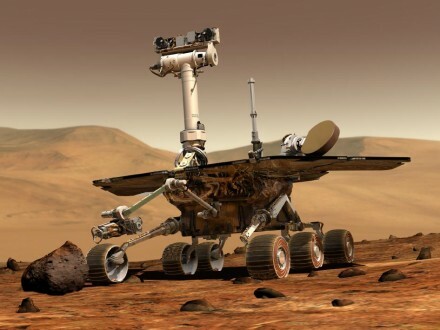 The latest findings by Opportunity were presented Wednesday at the American Geophysical Union's conference in San Francisco. The vein examined most closely by Opportunity is about the width of a human thumb (0.4 to 0.8 inch), 16 to 20 inches long, and protrudes slightly higher than the bedrock on either side of it. Observations by the durable rover reveal this vein and others like it within an apron surrounding a segment of the rim of Endeavour Crater. None like it were seen in the 20 miles (33 kilometers) of crater-pocked plains that Opportunity explored for 90 months before it reached Endeavour, nor in the higher ground of the rim. Last month, researchers used the Microscopic Imager and Alpha Particle X-ray Spectrometer on the rover's arm and multiple filters of the Panoramic Camera on the rover's mast to examine the vein, which is informally named "Homestake." The spectrometer identified plentiful calcium and sulfur, in a ratio pointing to relatively pure calcium sulfate. Calcium sulfate can exist in many forms, varying by how much water is bound into the minerals' crystalline structure. The multi-filter data from the camera suggest gypsum, a hydrated calcium sulfate. On Earth, gypsum is used for making drywall and plaster of Paris. Observations from orbit have detected gypsum on Mars previously. A dune field of windblown gypsum on far northern Mars resembles the glistening gypsum dunes in White Sands National Monument in New Mexico. "It is a mystery where the gypsum sand on northern Mars comes from," said Opportunity science-team member Benton Clark of the Space Science Institute in Boulder, Colo. "At Homestake, we see the mineral right where it formed. It will be important to see if there are deposits like this in other areas of Mars." Throughout Opportunity's long traverse across Mars' Meridiani plain, the rover has driven over bedrock composed of magnesium, iron and calcium sulfate minerals that also indicate a wet environment billions of years ago. The highly concentrated calcium sulfate at Homestake could have been produced in conditions more neutral than the harshly acidic conditions indicated by the other sulfate deposits observed by Opportunity. "It could have formed in a different type of water environment, onemore hospitable for a larger variety of living organisms," Clark said. Homestake and similar-looking veins appear in a zone where the sulfate-rich sedimentary bedrock of the plains meets older, volcanic bedrock exposed at the rim of Endeavour. That location may offer a clue about their origin. "We want to understand why these veins are in the apron but not out on the plains," said the mission's deputy principal investigator, Ray Arvidson, of Washington University in St. Louis. "The answer may be that rising groundwater coming from the ancient crust moved through material adjacent to Cape York and deposited gypsum, because this material would be relatively insoluble compared with either magnesium or iron sulfates." Opportunity and its rover twin, Spirit, completed their three-month prime missions on Mars in April 2004. Both rovers continued for years of extended missions and made important discoveries about wet environments on ancient Mars that may have been favorable for supporting microbial life. Spirit stopped communicating in 2010. Opportunity continues exploring, currently heading to a sun-facing slope on the northern end of the Endeavour rim fragment called "Cape York" to keep its solar panels at a favorable angle during the mission's fifth Martian winter. NASA launched the next-generation Mars rover, the car-sized Curiosity, on Nov. 26. It is slated for arrival at the planet's Gale Crater in August 2012. 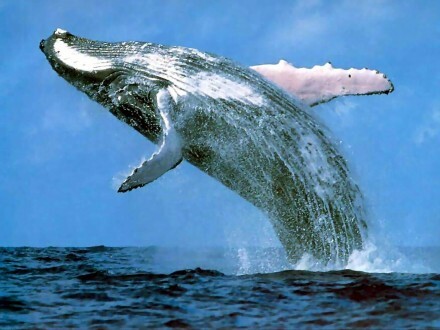 Zooniverse has launched a new project: Whale FM. At Whale FM everyone is being asked to help decode what whales are saying to each other. Tune in and check it out at http://whale.fm. 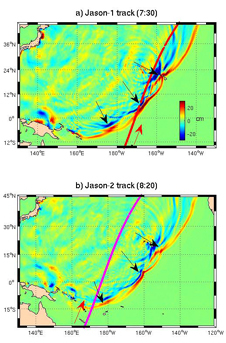 NASA and Ohio State University researchers have discovered the major tsunami generated by the March 2011 Tohoku-Oki quake centered off northeastern Japan was a long-hypothesized "merging tsunami." The tsunami doubled in intensity over rugged ocean ridges, amplifying its destructive power at landfall. Data from NASA and European radar satellites captured at least two wave fronts that day. The fronts merged to form a single, double-high wave far out at sea. This wave was capable of traveling long distances without losing power. Ocean ridges and undersea mountain chains pushed the waves together along certain directions from the tsunami's origin.